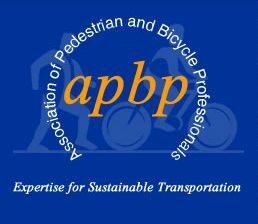 We are pleased to announce that Jessica Roberts, Principal of Alta’s Education and Encouragement Programs practice, has been selected as the Association of Pedestrian and Bicycle Professionals (APBP) 2015 Professional of the Year (private practice category). Her work bridging active transportation and Travel Demand Management is inspiring change across the country, and is instrumental in improving quality of life by connecting community assets and community residents. Jessica’s commitment to the field is demonstrated in both her professional and personal life: She delivers highest quality programs to communities across the country; she lives a car-free life at home and on the job; she regularly connects people who need information with people who have it; and she leads teams with the utmost of care, nurturing their passions and their capabilities. Jessica also leads by nurturing young people, diversifying our field, and elevating women. In 2015, she created Alta’s first formal mentorship program, matching nine mid-career professionals with principals through a structured year-long program. Jessica is actively involved in her local community. 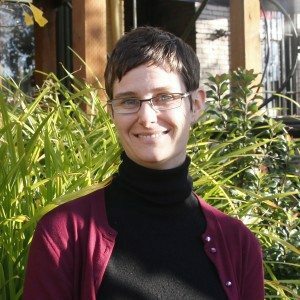 She serves on the WTS Portland board, is an active participant on the APBP and Bike Equity Network list serves, and mentors numerous young professionals. She volunteers her time for several non-profit groups, including the Community Cycling Center, Portland’s Sunday Parkways, Chief Joseph Elementary School. She hosts many visitors and leads tours for local agencies, and guest lectures at Portland State University. Her national profile has led to a strong social media reach and many speaking engagements, including keynoting at the 2014 Ohio Bicycle/Pedestrian Summit and a week-long Bicycle-Friendly Communities speaking tour in northern California this year. Jessica was with the Bicycle Transportation Alliance for seven years prior to coming to Alta. To discuss how education, promotion, or media campaigns can help your community thrive, contact Jessica at jessicaroberts@altaplanning.com.